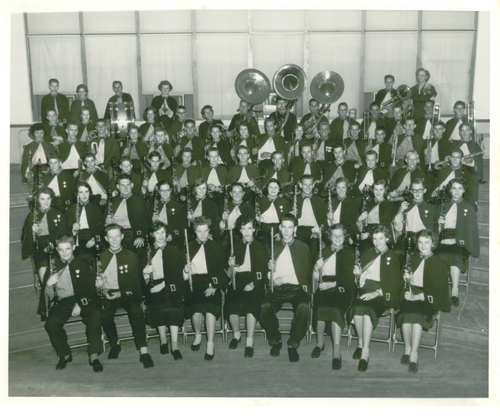 On 01/23/08, Charles Simmons sent this photo with the following message, "Yesterday, while rummaging through some of Mom’s photos, I found this old photograph of what I believe to be the 1955-56 Deady Jr. High Band. Many faces are identifiable – some have passed away. This photo is notable in that it was the first picture of the band in the newly air conditioned band room (window units can be seen). This was the year that our group was in the eighth grade."